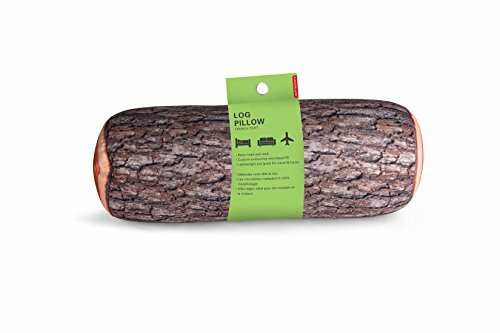 Log Pillow - Moar Stuff - You don't need it but you know you want it. 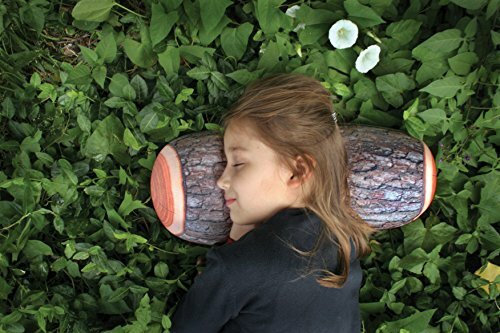 This Log Pillow will let you sleep like a…. wait for it…… baby. What? What did you think I was going to say? Like a log, or something? Geez, even my puns aren’t that wooden…. wait! Maybe they are? Anyway, this bolster pillow features realistic three dimensional print of a log. It’s about 14 inches long and 6 inches in diameter so it’s a great size for the couch or your favorite recliner. It also makes a great (and pretty unique) travel pillow. The outside is made of a polyester and spandex blend and it’s stuffed with polystyrene micro-beads. It’s really comfortable but not as firm as you would think from it’s appearance (you know, because it looks like a piece of wood). As a bonus, unlike using a real wooden log as a pillow, there’s no chance of termites. There are three different styles avaiable. The one pictured at the top is the standard “Log” however you can also get one that looks like a birch log and one that looks like a platanus log. Pictured below. Any of these would be great in a man cave or as a gift for your dad. Dimensions: 14 x 6.2 x 6.2 inches. Outside cover made of 85 % polyester and 15 % spandex; Inside fill is 100 % polystyrene micro beads.